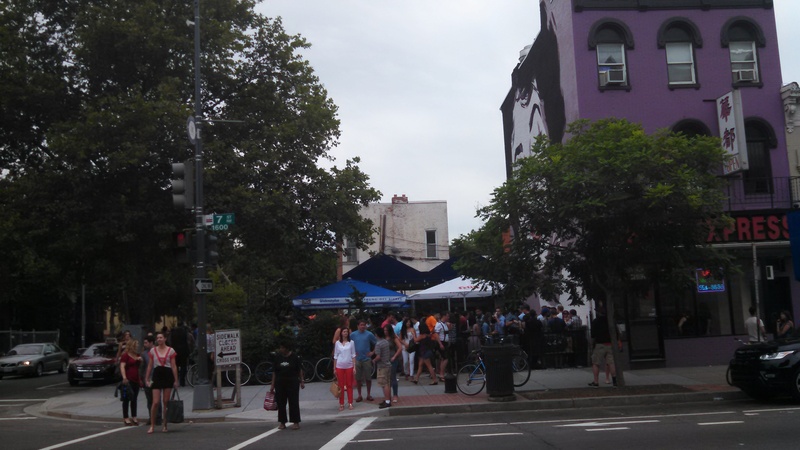 The huge occupancy numbers requested have everything to do with the long lines and difficulties Dacha had with in Shaw with its size (currently the outdoors is limited to 250 people there). As for hours, the license applications seek to close outside at 11p Sun-Tues, midnight Wed-Thurs, and 2a Fri-Sat. The hours may not be an issue for the 14th Street location (Garden District currently is open til 1a on weekdays, and 2a on weekends), but expect a big fight near Nats Park. The Bardo River Brewery opened after a couple years fight from the local ANC, DC Police, and the Nationals with similar closing hours and capacity issues. News of the Navy Yard location was reported by Rebecca Cooper of the Washington Business Journal and PoPville in early March and the scuttlebutt on the 14th Street location was reported by UrbanTurf in mid-April. Today, Jessica Sidman confirmed the news of the liquor license applications for Washingtonian.